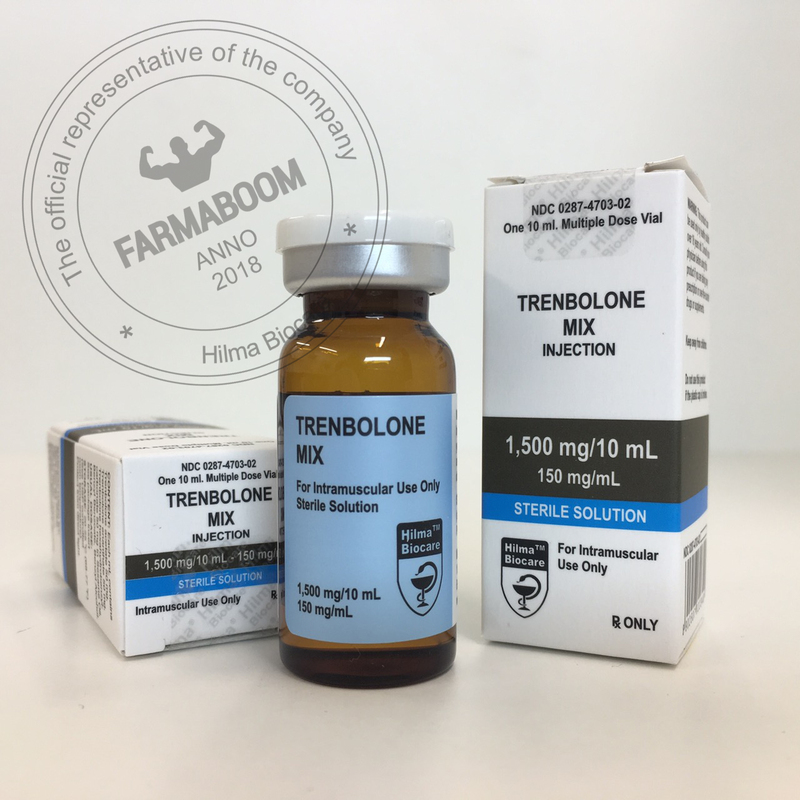 TRENBOLONE MIX is an oil based solution of trenbolone acetate 50mg, trenbolone enanthate 50 mg and trenbolone hexahydrobenzylcarbonate 50 mg for IM injection. 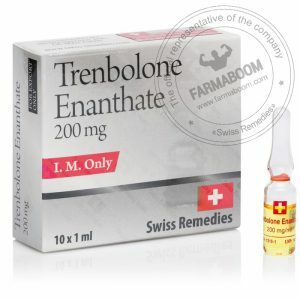 Trenbolone is an anabolic steroid with significant anabolic and androgenic effects. 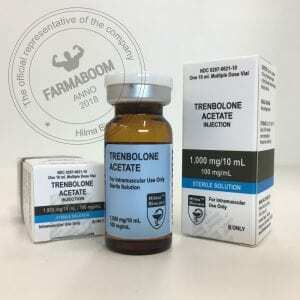 The fast acting ester produces a rapid increase in serum trenbolone levels while the slow ester provides a continued elevation thereafter for a duration of 7 – 10 days. 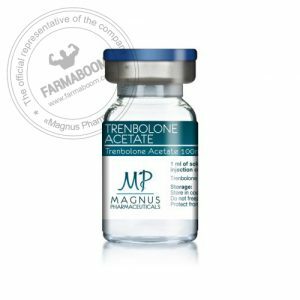 Trenbolone promotes significant increases in strength, muscle anabolism, appetite, and aggression and has been demonstrated to reduce body fat. CAS number 10161-33-8. Dosation 1500mg/10ml. The package has been changed. Info: Tri-Trenabol is an extremely powerful Trenbolone blend containing three active Trenbolone compounds mixed together in a single unit. 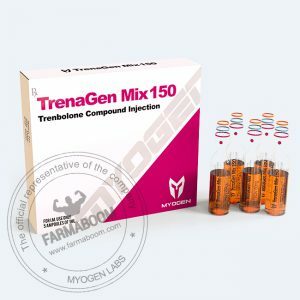 Trenbolone mix was first developed in 2004 under name “Tri-Trenabol” by the late underground lab British Dragon. Tri-Trenabol is a 19-nortestoserone (19-nor) anabolic androgenic steroid. The 19-nor classification refers to the testosterone hormone lacking the carbon atom at the 19th position, a classification you may recognize from Nandrolone. In fact, the Trenbolone hormone is a derivative of Nandrolone. Specifically, it is the Nandrolone hormone with an added double bond at carbons 9 and 11, which slows the hormone’s metabolism, increases its androgen binding affinity and inhibits the hormone from aromatizing. While this represents only a slight change in structure from the Nandrolone hormone, it is enough to make the Trenbolone hormone very unique. Tri-Trenabol contains three active Trenbolone hormones, Trenbolone Acetate, Trenbolone Hexahydrobenzylcarbonate and Trenbolone Enanthate. As it carries two large /long ester base forms in Hexahydrobenzylcarbonate and Enanthate, this will make it a rather slow acting compound overall. 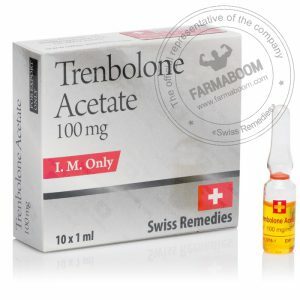 The total action on a timed basis will be very similar to a single ester Trenbolone Hexahydrobenzylcarbonate compound best known by the trade name Parabolan. As you may recall, Parabolan is the only Trenbolone hormone to ever be manufactured for human use. Tri-Trenabol contains 50mg of that form, Hexahydrobenzylcarbonate and 50mg of Acetate and 50mg of Enanthate per milliliter. Trenbolone hormone is well known for being the greatest anabolic steroid for cutting purposes, but it also tremendously beneficial during periods of off-season growth. Possible to increase libido and potency, opposite effect possible. 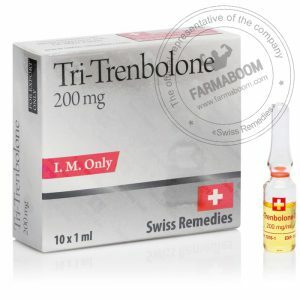 Trenbolone is not what we’d call the most side effect friendly anabolic steroid. Post Cycle Therapy starts after 15-20 days, after last injection. Start Tamoxifen citrate from the beginning of the last week of the cycle and continue taking it for 3-4 weeks. Most will find their standard PCT of HCG, Clomid (Clomiphene citrate) and/or Nolva(Tamoxifen citrate) to be effective but many will need to extend the duration a little morethan any standard PCT.